High performance high quality hdmi-hdmi cable suitable to use in hdtv's, home theater, playstation 3, and business class projector based applications. 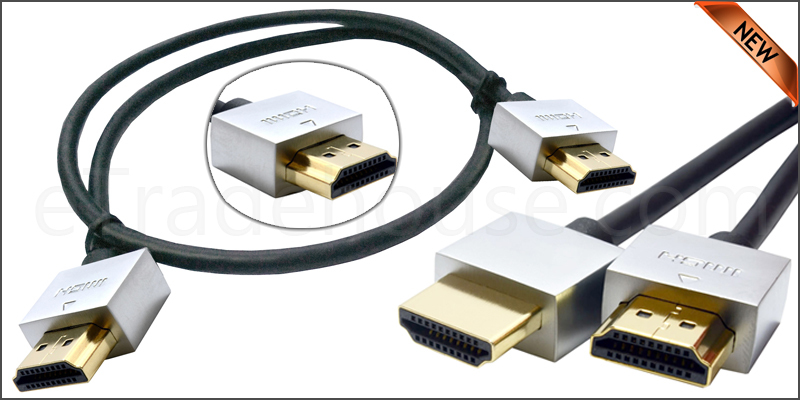 Fully compatible with hdmi 1.3b specification and full HD Bandwidth: 10.2 Gbps/340MHz. HDMI ethernet channel capabilities (for compatible devices). 3D over HDMI (for compatible devices). Supports resolution up to 4k x 2k which is 4 timesto that of 1080p (for compatible devices). Transfers digital audio and video signals at fastspeed of 10.2 gigabits per second. High definition audio including sa-cd, dvd-audio,dts-hd master audio and dolby true HD. Maximum reliability by triple shielding (2*foil and1*metal-braid screen) and gold plated pins (10mu). Treble screened to provide complete immunity to environmental EMI and RFI.